This week is National Volunteer Week. It was established here in the U.S. in 1974, and was created as a way to direct national attention on the power and vital necessity of volunteerism in our country. Truer words were never written. Yet I think it's even more true when considering animal shelters. and who give their hearts to countless needy animals, praying they will finally find a home. Please take a moment this week to thank a volunteer. 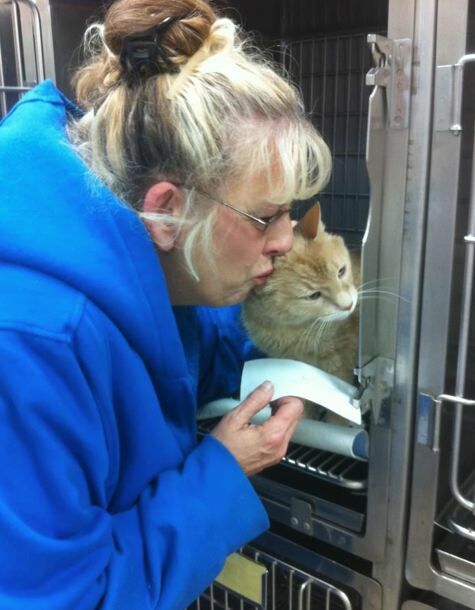 Better yet, why not go to your local shelter and offer to help out? For those of you in the Kansas City area, we'd like to spotlight one unusual effort being done by a group of cat volunteers city wide. I call it unusual because it's the first time ever that volunteers from six different shelters have banded together to raise funds - and awareness - for the needs of homeless cats in K.C. 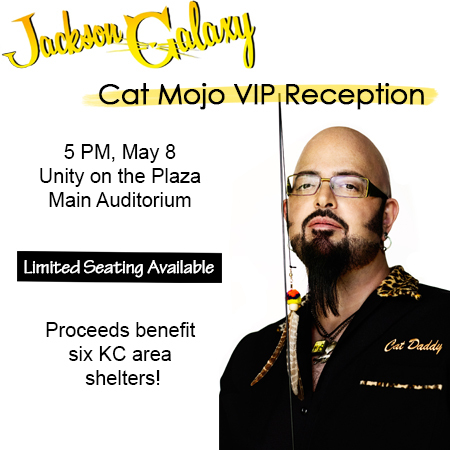 This fundraiser is a VIP "Cat Mojo" Reception with guest speaker Jackson Galaxy, star of Animal Planet's "My Cat From Hell." We call it "Cat Mojo" because that's what Jackson calls these educational talks about cat behavior. This is a wonderful learning opportunity for anyone who is a cat lover. It's also incredibly valuable for anyone who is a cat volunteer. Everyone knows shelters are stressful for animals. It's especially true for cats, who tend to be more resistant to change than dogs. 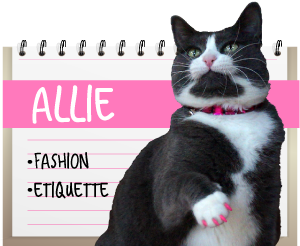 As volunteers know, stress can cause cats to behave in a way that is truly counter to their personalities. This, or course, makes it that much more difficult for them to find a home. 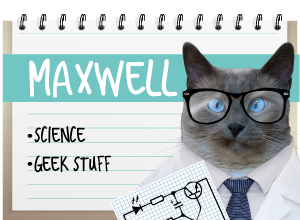 Jackson's Cat Mojo lessons will help you understand cats on a deeper level. 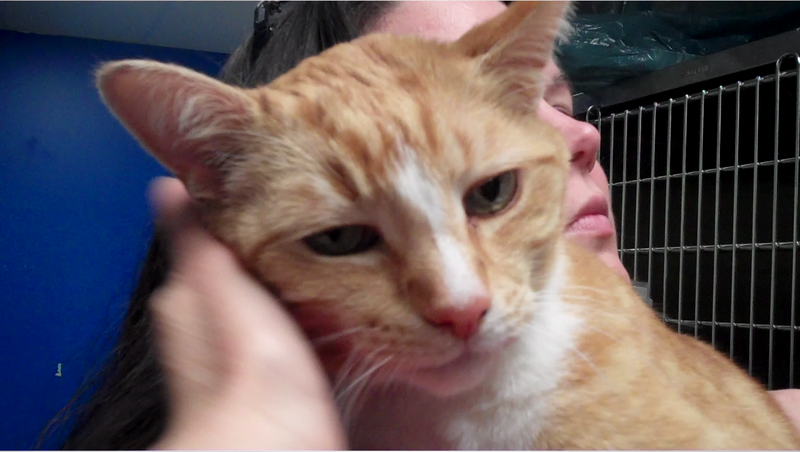 After hearing what Jackson has to say, don't be surprised if you find yourself approaching, understanding and connecting with cats at a completely new level. As a result, you'll be helping to make each cat's time in the shelter a much less stressful experience -- and probably shortening their length of stay in the process. At first glance, you might think the tickets are a bit pricey. 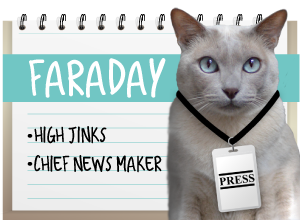 Tickets cost $50 per person, but they include a $15.95 copy of Jackson's book, Cat Daddy, a private Cat Mojo presentation, admission to the private reception (really good hors d'ouvres and wine - I just sampled them last night! ), a chance to meet Jackson personally, and reserved seating at the author event that follows. you'll be helping to raise funds for six outstanding animal organizations in Kansas City! Bravo to all those who help out. Great idea. We too wonder if they do that here. Have a marvelous Monday. a good reminder about volunteer week - so many places couldn't function with out them. Mommy would so pay the $50! But to do that, she would have to pay lots of $$$ to get there first. *gulp* That's A LOT of treats! My human wishes she could go... except she is in Los Angeles! It sounds like a good and informative evening out. Volunteerism is necessary these days more than ever, due to less money for vital institutions. Kudos to the many volunteers in the various shelters - you do great and amazing work. M said she's love to go to see that, but maybe some time it will come to WI. The volunteers are angels without wings! In some cases volunteers run the show! And Jackson's show sounds great! Yup volunteers are the unsung heros what a pawsome celebration they got going. These are the places I want to attend. Unfortunately we don't have that many dog or cat seminars where we're at. I do hope the seminar will be a success. I had no idea about this special week! Thanks for sharing! If only kansas is just a drive away... Momma is interested to attend seminars/talks like this. We don't have much of those where we're at. That does sound like a wonderful event. It is so great that the organiztions have gotten together to do this event. Hope it is a huge success. What a cool fundraiser, we hope that it is very successful and raises a lot of funds and awareness! Good stuff! Our Dad does his part here in PA!